installed plugin wpdiscuz-emoticons enabled created custom directory, I see the .png icon but do not use .gif icons, is this a problem? Sorry, but I don't follow you. wpDiscuz Emoticons allows to use .gif format in custom emoticons. thanks, maybe just can anyone set their own size? 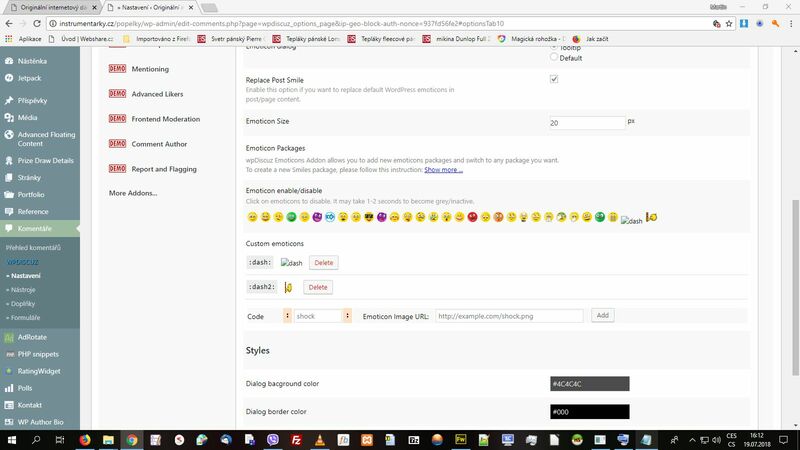 you can change Emoticon Sizeon Dashboard > Comments > Settings > Addons > Emoticons admin page.